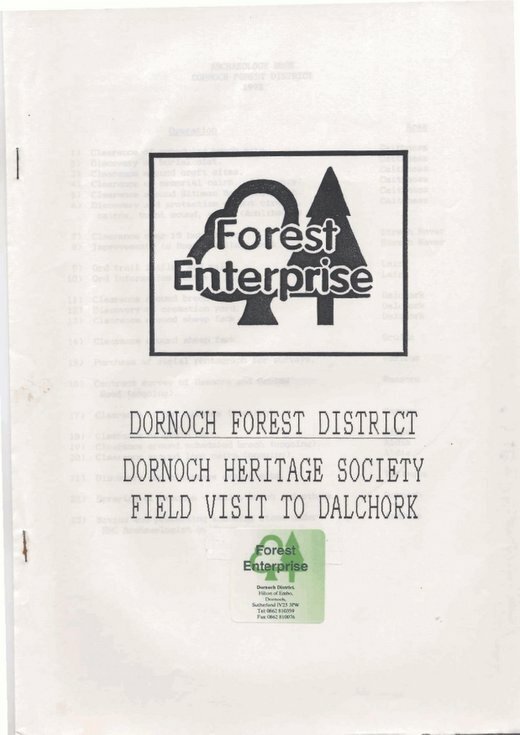 Papers for visit of Dornoch Heritage Society to Forest Enterprise at Dalchork broch in 1992. Includes NMRS entry for the broch and list of archeological sites being dealt with by FE in 1992. 4 pages stapled. 2 copies.